This Remote Circuit Cut-Off Switch shuts the electricity AT THE FUSE BOX. No power to the wires means no electric fields and no magnetic fields. This is a simple yet 100% effective method of eliminating electric fields emitted from any circuits you want. The simple push of a button on the included remote restores power to this circuit for normal operation. Naturally, circuits supplying other rooms in the house can be controlled as well. Why have all the power on in the kitchen, family room, or study… even when you don’t need it? You can connect up to 4 separate circuits up to this unit, and all will go on and off with the press of one button. So much easier than running to the breaker box! In addition, you can add up to 3 additional Contactors (with up to 4 circuits each), each of which can be controlled independently. So, whether you want to control power to one room, or the whole floor, or any combination of circuits, the choice is yours! 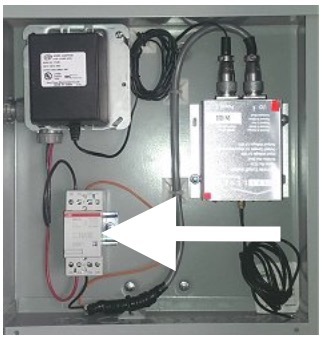 The main unit installs near your circuit breaker box. Two remote controls are supplied which can be used anywhere in the house. - Installation must be done by a licensed electrician according to the electrical code for each State / Province (USA / Canada). - North American style only. 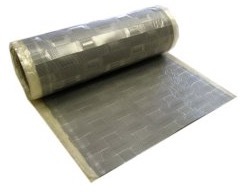 - Warning stickers for breaker panel and receptacles are supplied and must be installed. * Please email support with your size when you order (Sorry, not available for export outside USA). 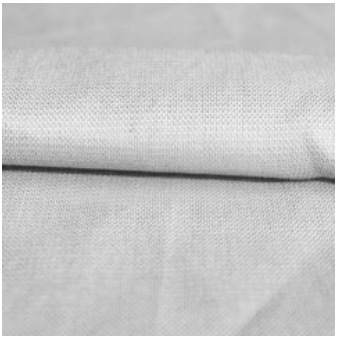 Ideal for bedding, clothing, wraps and drapes. 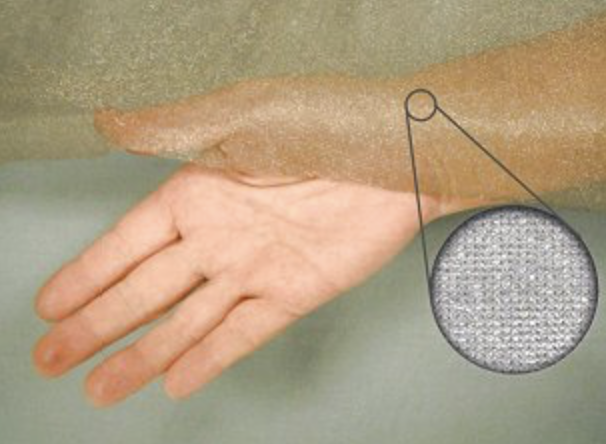 Good conductivity with a completely non-toxic format. 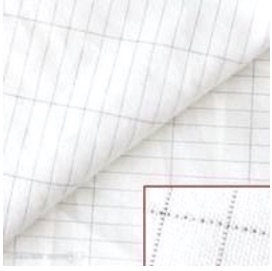 Cotton Grid Fabric is the perfect choice when you want an all natural conductive fabric. Anti-static properties will discharge what ever it comes in contact with. not contain flame retardant, use caution around open flames and heat sources. 2) Water temperature below 40°C. 3) No bleach, do not use detergent with bleach ingredients. promptly from the water to dry. 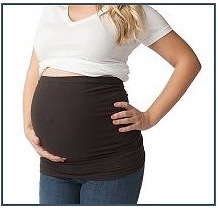 5) Do not dry clean. Looking for a more effective ground/earth? You can use this simple and durable grounding stake to connect yourself directly to the Earth or ground your EMF shielding paint or fabric instead of using the ground on your building’s electrical system. 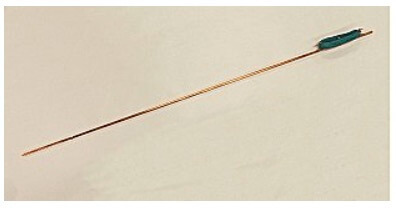 Sturdy, rust resistant, 48 inch long, 11/32" diameter Copper plated steel stake is ready to drive into the soil. Complete with exterior grade, 18 gauge ground cord and stake-to-cord connector. Note: this is sold with a clamp termination. Note: if your soil is hard or rocky, you may need to dig a hole first. Be careful when selecting location… do not puncture buried wires or pipes. 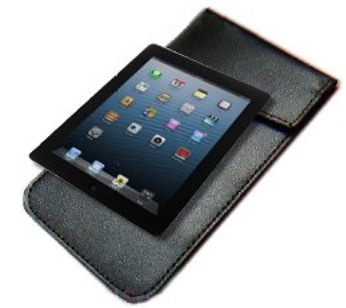 25.5 inch wide, 1 mm thick. Weighs 3.5 Kg/m² (about 15 pounds per 10 foot length). Edges are sharp. 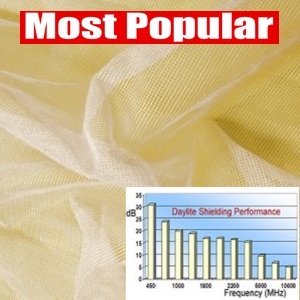 The High Performance EMF Shielding Fabric is a silver coated nylon fabric which effectively shields radiofrequency microwave radiation coming out of your electronic devices. Shielding performance >50dB from 30 MHz to 3 GHz. When grounded, it will shield electric-fields also. Pros: 1/ Handle and strech it around just the way you want it! 2/ Soft, comfortable and very light. Cons: 1/ Highly conductive. DO NOT put in contact with electric wires, outlets or switches. 2/ Carefuly wash by hand (under 40°c/DO NOT bleach/DO NOT Dry clean) and hang dry. 0.0045 inch thick, weighs 40 grams/m². 58 inch wide. 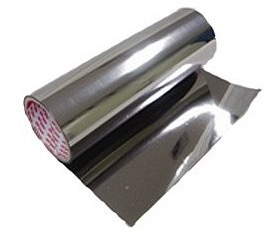 ideal to make draperies, tents, garments, mobile phone shields, and more.